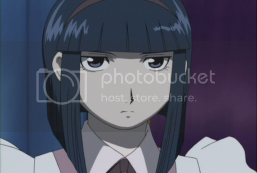 Synopsis: Edward tries to escape from his teacher Izumi, but she subdues him and ties him and Alphonse up to take them to the town of Dublith. On the way there, the brothers remember how they met her as she was passing through Risembool and saved the town from flooding with alchemy. She reluctantly took them on as pupils. 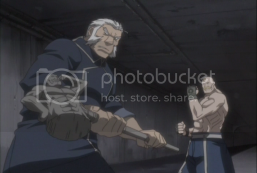 After the flashback, Ed, Al, and Winry arrive in Dublith, where Izumi's husband runs a meat shop. After an incident involved a dead cat, Izumi reveals that she knows what happened to the brothers, and after a beating, hugs them.